Despite two knee surgeries, Lhakpa Yangchen Tsutsatsang has been making a daily Tibetan walking pilgrimage for the last 35 years in Nepal. Lhakpa Yangchen Tsutsatsang has been walking three kilometres daily for 35 years as part of a Tibetan Buddhist spiritual practice called kora. 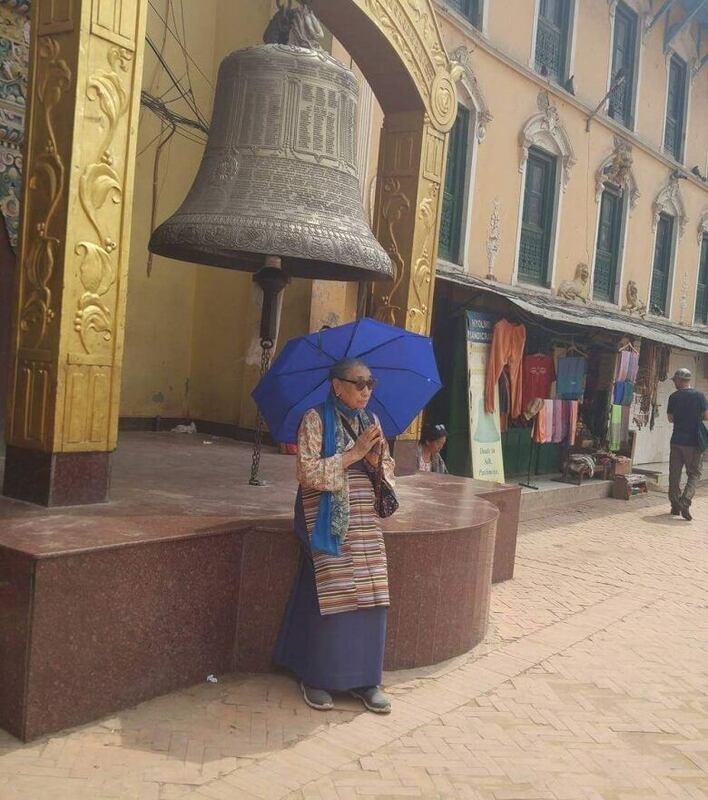 Tsutsatsang lives in Kathmandu, Nepal, where she walks around the Swayambhunath stupa, one of the oldest and most sacred pilgrimage sites for Tibetan Buddhists around the world. A stupa looks like a dome-shaped building that contains holy relics. It takes Tsutsatsang at least an hour each morning to finish her trip, but she said that kora allows her to feel more compassionate. "Even if I find it hard, I like to do it because it makes me more relaxed. My state of mind feels better that I've done it," said Tsutsatsang. According to Buddhist scripture, the entire valley where Swayambhunath is located was once filled with an enormous lake, from which grew a lotus. 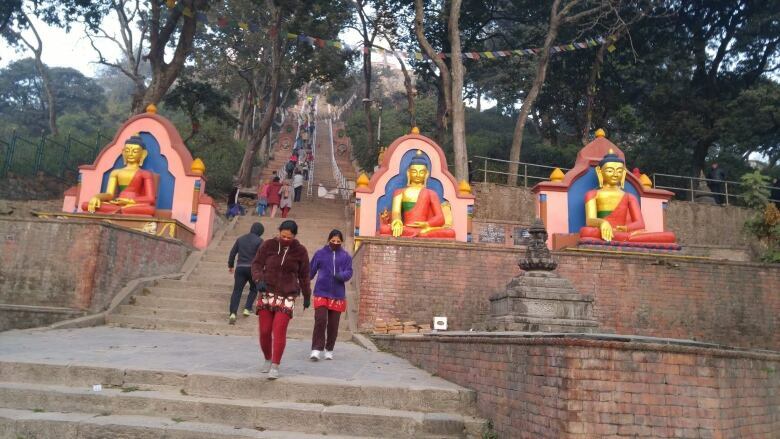 The valley came to be known as Swayambhu, which means "self-created." Tsutsatsang has lived in that valley since she escaped from Tibet during the 1950s through the Himalayas. She left following the Chinese takeover. She now lives in Nepal in exile. 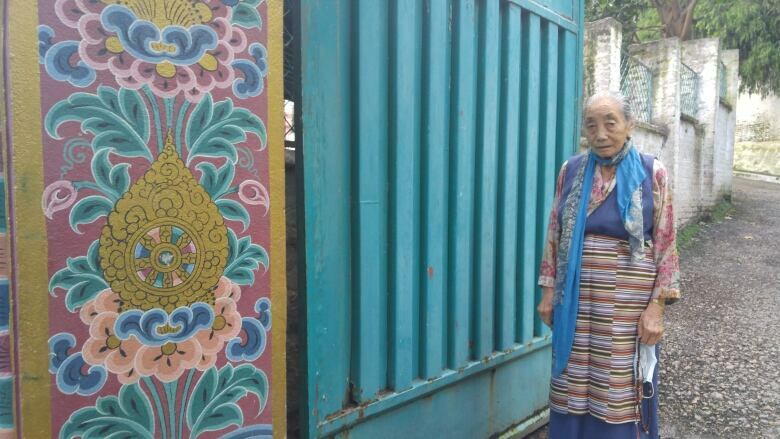 Her grandson, radio producer Rignam Wangkhang, visited her in February during Losar, the Tibetan new year festival. He accompanied her on her kora, when she was 92 years old, along with the hundreds of people who flock to Swayambhu for the festival. 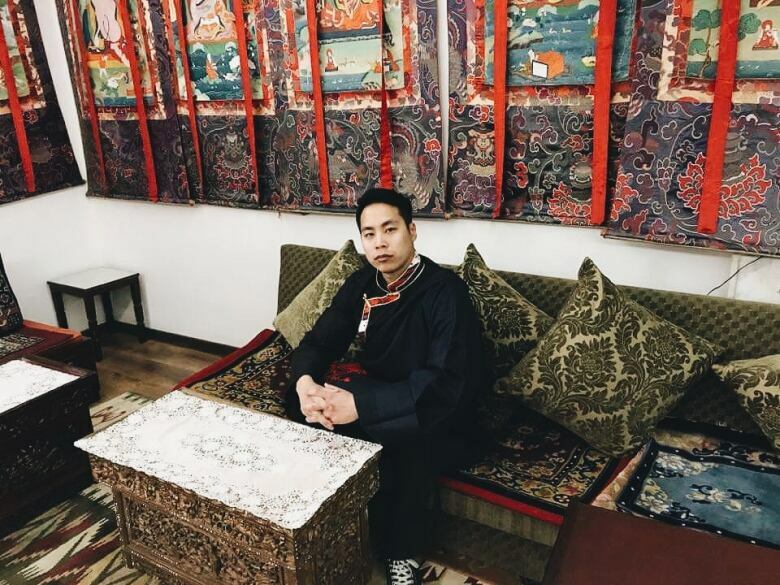 Wangkhang grew up saying Buddhist prayers, but said that he mostly chanted them blindly. On this visit, he said he practiced the kora as a way to both connect with his grandmother, and his heritage. "My mind isn't worrying about something I did in the past or fretting about something in the future," he said. "I think it's the seed of mindfulness starting to grow." CBC Radio producer Rignam Wangkhang created this documentary for Tapestry over the summer of 2018. Translation was provided by Tashi Wangkhang. Clarification: Om mani padme hum is a sanskrit mantra, not a Tibetan Buddhist mantra. An earlier version of this post noted that Rignam visited Nepal in summer for the 2018 Losar. Losar was in February. Scholar Elaine Pagels says spirituality defies logic. She knows from personal experience.